helps multi-unit restaurants and their I.T. teams reduce POS downtime, provide safe remote support, and proactively identify developing problems. With powerful RMM, MDM, FIM/SIEM solutions, Logic Shield gives you the freedom and confidence you need to turn your attention to what matters most in your business: serving customers and building profit. Proactively monitor and remediate the POS health and compliance levels of all your restaurants through a single pane of glass dashboard , also available to your IT resources. Bundled LogMeIn Pro License with logging to allow both your office and IT personnel to securely support your remote locations in a PCI compliant manner. Reduce POS downtime with secure, proactive, cloud-based compliance, and POS server monitoring. 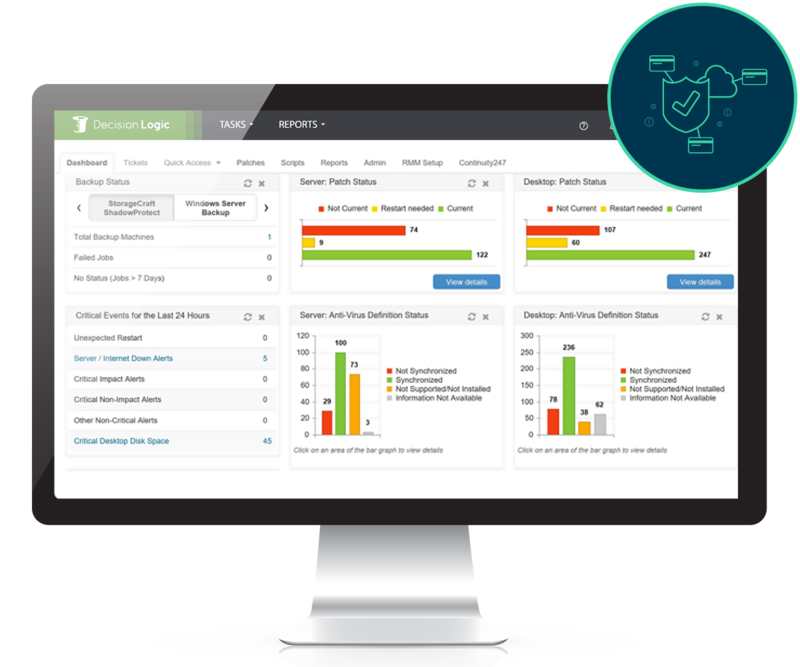 Provide automated reporting on security settings, exceptions, and trends. Provide automated incident notifications and service request ticketing. Manage PCI patching compliance with Network Operations Center Sandbox OS patching, eliminating expensive storage and bandwidth normally required with WSUS. Provide PCI compliance required asset tracking and inventory. Through a secure, cloud-based, at-a-glance dashboard you can access the industry’s most trusted tools for compliance and multiunit management. We use our extensive experience to help you deploy a compliance and support system that also enables good business. Want to see Logic Shield in action?